The European Commission’s proposal on digital taxation demonstrates a completely new logic of taxation. It contains all the wrongs you can achieve in one proposal, writes Gunnar Hökmark. Gunnar Hökmark is the head of the Swedish delegation of the centre-right European People’s Party (EPP) in the European Parliament. He is a member of the Parliament’s Economic and Monetary Affairs Committee. The European Commission’s proposal on digital taxation demonstrates a completely new logic of taxation. The consequences are far-reaching. Such a taxation will undermine the tax bases of smaller member states to benefit the bigger, hinder the development of digital start-ups in Europe, intensify the trade conflict between the EU and the US and lay the ground for international tax rules where China and India will be the main beneficiaries. The proposal contains all the wrongs you can achieve in one proposal. It is hard to believe that there has been any real impact analysis made, as its implications are no better than shooting yourself in the foot four times in a row. First, the Commission is introducing a proposal with a logic based on turnovers instead of value adding, profits or wages, which means that the turnover in each member state will be the tax base. This is in its essence a new element in modern taxation, meaning that exporting companies will pay taxes where they export and not where they add value or make profits. Consequently, export-oriented economies will lose a huge part of their tax base. The more the country exports, the more it will lose its base for company tax. Profits of innovations will no longer be taxed where the innovations are made and the value added, but where the sales are taking place, which will have serious implications on all innovation-oriented economies. They will lose their tax base. Clusters for research and innovation will lose their tax-bases, even though it is where the profits are gained. Even worse, it is not the value added that will be taxed but the volume of sales. Second, which is absurd, by introducing turnover as the base for taxation it will not be profits that are taxed. This means that big start-ups aiming for the global championship will be taxed not for their profits but for their losses when trying to achieve profitability. Numerous digital companies have become world leaders before they were able to show profit. In Europe, they will be taxed for profits long before they have profits. That will, to put it mildly, prevent the development of the digital economy in Europe. 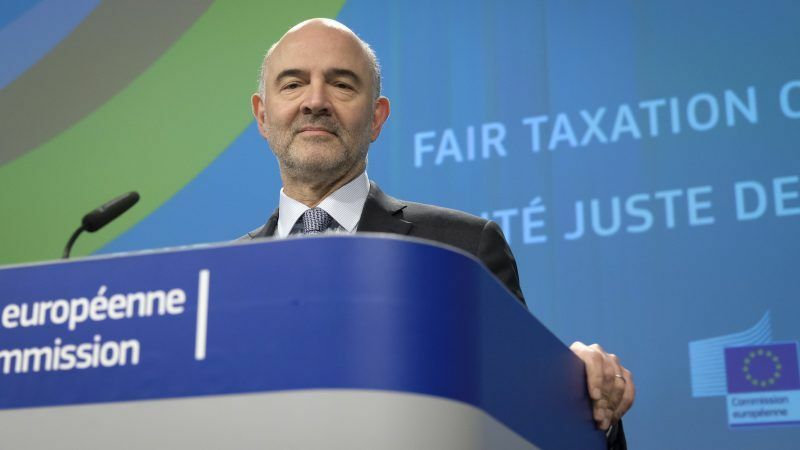 Third, instead of applying OECD-rules globally in order to fight tax fraud and tax avoidance, the Commission launches a new rule for the order of international taxation. A rule under which profits are not taxed where they are created, but rather have the turnover as a base for company taxation. This logic has nothing to do with the digital economy. It is a logic where cars, medical instruments, pharmacy, energy technologies are to be taxed where they are sold, not where they are invented, innovated, developed and produced. That is why the Commission’s proposal, in the long run, not only undermines European tax bases, but also the economy of inventions, innovations, developments and advanced production. Economies based on innovations and advanced production will be the losers as well as economies with a trade surplus. The Commission’s proposal, if accepted as a global rule, is an attack on the European economy. Fourth, not to be underestimated, the Commission’s proposal is designed to tax American companies in Europe. It will undermine their European competitors when they are developing their global competitiveness. But the design as such is like waging a trade war with the US. And trade wars are not easy to win, Mr Trump, and Mr Moscovici.